Gigabyte is one of the most common brands which have been providing good quality computer accessories in Bangladesh. Currently, the demand for mini PCs has increased a lot because of its portability and other advantages. 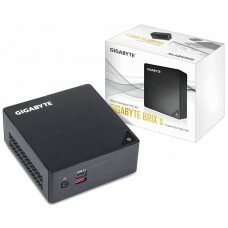 Gigabyte Mini PCs are popular among all computer users. Star Tech will be stocking and providing all the latest Gigabyte Mini PC at the best price in Bangladesh. You are requested to check the price and specifications of Gigabyte Mini PC in BD from Star Tech website and put your order to get it delivered to your doorstep in a short period.